My current body of work exposes how our judicial system remains punitive and disregards rehabilitative practices. Ignoring the realities of a layered society that has imbalanced wealth, discriminatory adjudication, unequal access to counsel, and racist/sexist policies, the juridical practices in this country privilege the wealthy, the educated and the franchised. These portraits are two of the first one hundred pieces in this project. 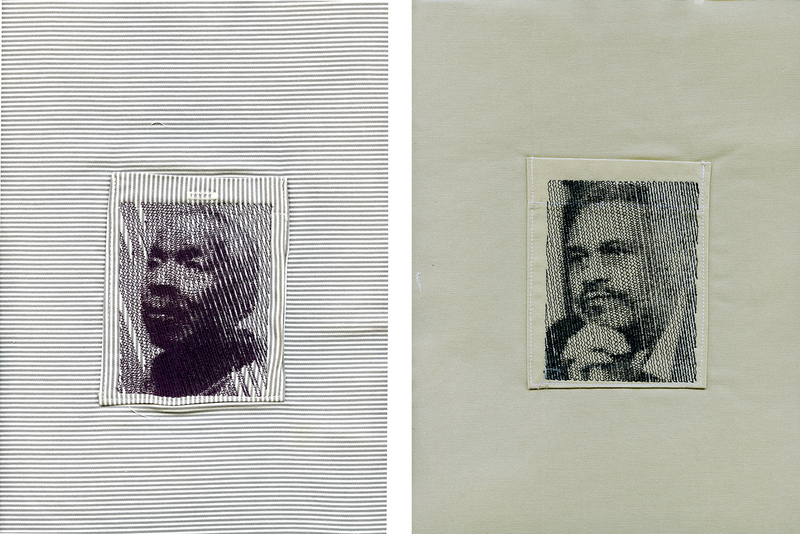 Each piece of fabric (typical of patterns used in prison uniforms) has a pocket and on each pocket is a machine-embroidered portrait of an individual exonerated of their conviction. In this initial phase of the project, I have chosen the one hundred individuals who served the most time between their conviction and exoneration. As of this writing, there are 2,278 exonerated citizens who were wrongly convicted and incarcerated. In 2013, the United States Department of Veterans Affairs released a study that covered suicides from 1999 to 2010, which showed that roughly 22 veterans were dying by suicide per day, or one every 65 minutes. That equals eight thousand and thirty per year. 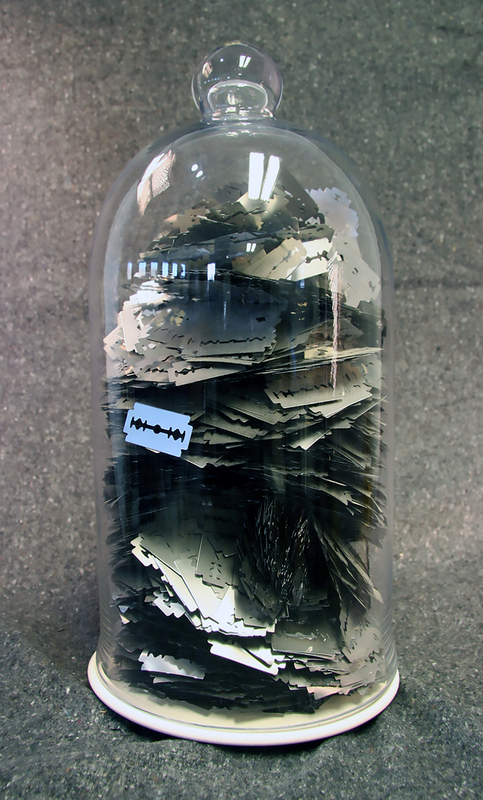 Within this glass bell jar, there is one stainless steel double-edged razor blade for each veteran who took their own life in one 365 day period. 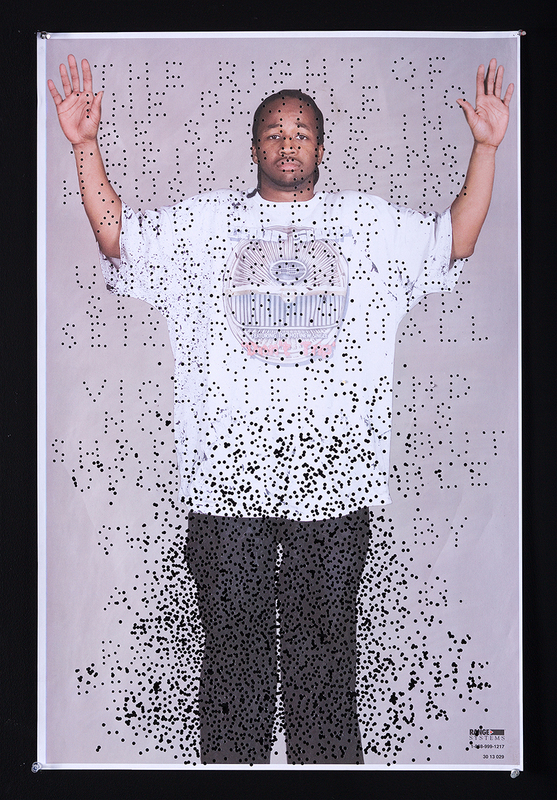 Ed Epping’s current body of work, CORRECTIONS (2013–present), uses drawings, sculptural forms, collages, books, and public projects to explore the social injustices of mass incarceration systems within the United States. 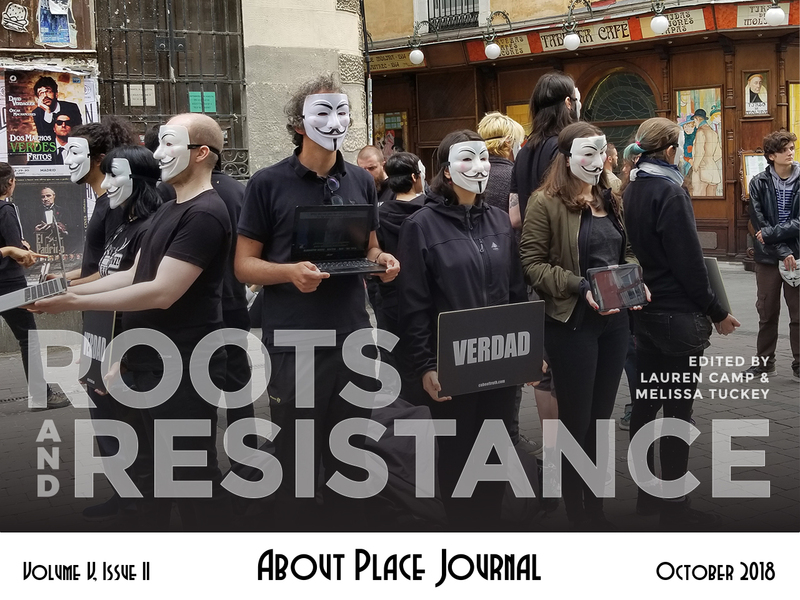 Focusing on the individuals targeted by judicial systems and cultural policies, the work aims to build public knowledge by reimagining mass incarceration in the United States. Granary Books has published four of Epping’s earlier projects. His work has been collected by Museum of Modern Art – Artists Books Collection, Yale, Harvard, the Center for Creative Photography, The Art Institute of Chicago and the Getty Center, among others. Epping received an M.F.A. from the University of Wisconsin-Madison. In addition to teaching at Williams College (1977–2017), he has taught at the University of Illinois-Chicago and Central Michigan University. He was the AD Falk Professor of Studio Art at Williams College from 2001–2017. Epping currently lives in Galisteo, NM.